The project that I am currently involved in has been very successful. Unfortunately, I can’t give you many details about it, except that the team is tasked to implement a new business model. It involves blueprinting the new model, construction, organizational transformation and implementation in a multinational company. We are not even finished with the project yet but the business return on investments has been unprecedented. In projects as big as this, you can talk about many success factors. The common clichés are senior management support, adequate change management, good business model design and construction, excellent resources, etc. However, I would like to single out one success factor that has inspired me to write this article—project management discipline. Project management has been practiced since early civilization. It began with engineering projects and it was in the early 1950s that companies started systematically applying project management principles and tools in complex business projects. It could be the oldest trick in the book. But it is still a key element to any business integration initiative. Steve Small is a colleague of mine. He manages Project Management processes. I would like to quote him about his views on project management. Let’s analyze Steve’s quote and from it, derive key points of project management concepts. Let’s start with structure and framework. There are many project management frameworks and methodologies out there but there is a common theme in all of them. They all contain the traditional sequence of steps. They are typically comprised of the following stages: Initiation, Planning, Execution, Monitoring and Completion. These steps tell you what you have to do – how to manage your projects from start to finish. It describes every step in the project life cycle, so you know exactly which tasks to complete, when and how. Whether you’re an experienced project manager or a novice, it guides you in administering the project. When it comes to explaining activities and deliverables, the PRINCE2 diagram and approach is my favorite. Why? It is because the framework provides the life cycle based on the project processes with clearly defined inputs and outputs. 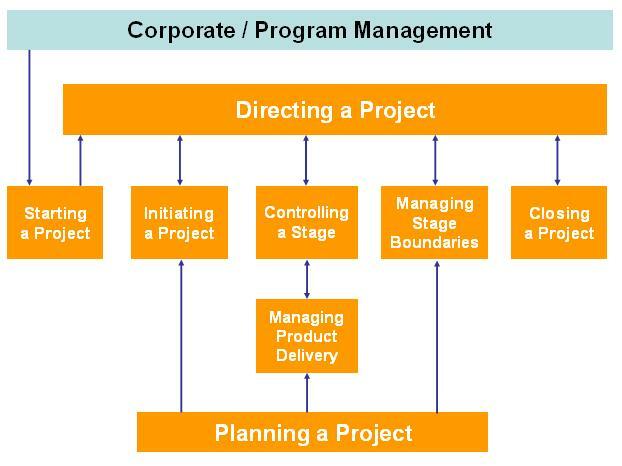 Directing a project – Inputs: Project plan, project controls; Outputs: Authorized initiation and stages, day to day project management and controlling. Controlling – Inputs: Status reports, alarms, issues and risks; Outputs: Issue resolution, reviewed project stage output, issue escalation. Managing stage boundaries – Inputs: Project stage progress; Outputs: Planned next stage, updated project plan (if necessary), updated business case (if necessary) and Stage end reporting. Closing a project – Inputs: Overall project results / output; Outputs: Project decommissioned and project evaluation reviews. Resources are essential to carry out the project task set forth by the project mandate. They can be people, equipment, facilities and financial. When you lack a project resource, it becomes a constraint that might affect the completion of the tasks. Resources need to be managed and balanced through project management so these are adequate in any given time to complete project activities. Normally, resource assignment considers how each task is prioritized. Resource scheduling, availability and optimization are considered key to successful project management. I spent a good portion of my work experience in projects. I had the privilege to work with people from different nationalities, cultures, backgrounds and process areas. I like participating in projects because it gives me an ever changing set of opportunities and challenges. As they say, no two projects are the same. It is mainly because of the temporary nature of a project — having a defined start and end date. It is a complete contrast to business-as-usual operations, where individuals and groups have predefined, usually repetitive tasks and goals to achieve value. In my succeeding post, we will discuss program management. Viewing program management as just administration of a collection of projects is a mistake. Program management is more than that. It is more involved with the firm’s over-all Process Culture. Vaughan Merlyn has written extensively about this topic in his blog IT Organization Circa 2017. Let’s see what we can draw up from his ideas and discuss it in the next article. This is an excellent article that serves as a great introduction to Project Management. I would love to publish this article on PM Hut, please either email me or use the “Contact Us” form on the PM Hut site in case you’re OK with this. When it comes to explaining activities and deliverables, the PRINCE2 diagram and ITIL approach is my favorite. Why? It is because the framework provides the life cycle based on the project processes with clearly defined inputs and outputs.